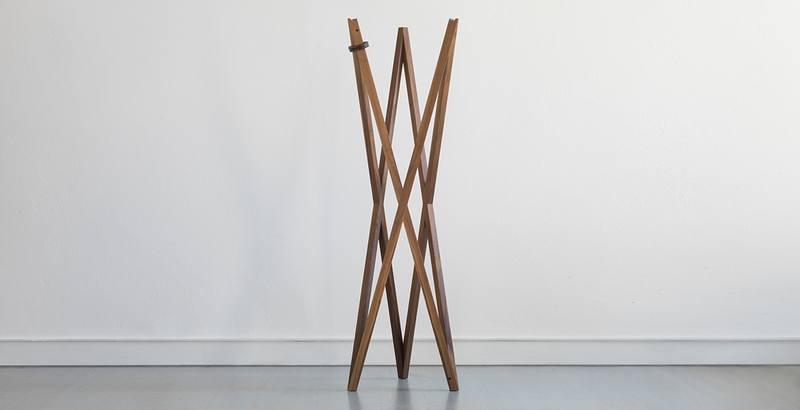 Iris means the resolution of a geometrical theorem because this coat rack has a complex shape recreating an architecture of perfect and geometrical joints. Inspired by the Renassaince and the platonic solids redesigned by Fra Luca Pacioli from Urbino. 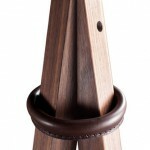 Iris is all-wood black walnut or ash wood fixed by metal joints.